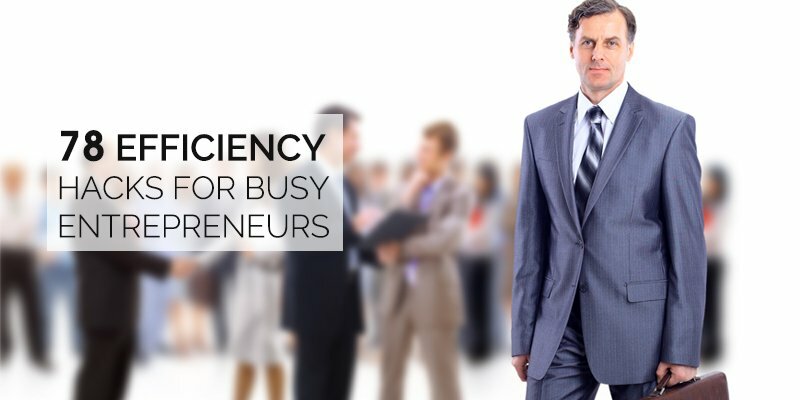 Efficiency helps tremendously as an entrepreneur, especially when you have a lot of tasks to accomplish. If you are not efficient, you will find yourself struggling to accomplish your tasks throughout the day, which means you are not being productive. As an entrepreneur you already know productivity is very important, so we are going to jump into the subject. You do not have to say yes every time someone asks a favor. Your priorities come before everyone else’s. The more you say yes to everyone else, the longer it takes for you to complete your own tasks. Just say no and focus on what you need to get done. Even though you want to work 24/7, you will need to schedule times to take breaks. A break helps you relax your mind so that you can remain focused. Even of the breaks are only for a few minutes, they will help you remain productive as your day goes on. It is known that waking up early allows you to get more done throughout the day. But trying to force yourself to wake up early when you are not used to it can be very hard to do. Therefore, you want to set your alarm back 10-15 mins back each week, so that you can get used to getting up earlier little by little. Whatever is your most important priority should be done first and then you move down your list as each priority is accomplished. This will help to ensure that you are getting those things done first that move your goals forward.Whatever is your most important priority should be done first and then you move down your list as each priority is accomplished. This will help to ensure that you are getting those things done first that move your goals forward. Setting a timer helps you by making you work faster. You understand that you do not have the time to waste because you have things to do immediately so you can move forward to the next task. You are keeping better track of your time when employing this tactic. Getting your most difficult task out the way first allows your day to run smoothly. Instead of worrying about how and when you will get that difficult task done, you can just go ahead and get it done so it is out of your mind. Your phone, email, and social media communication are distractions that take your attention away from your work. Turn them off so that you can actually get your work done. There is an argument that music helps your productivity and an argument that music is a distraction. If you choose to listen to music, put at a level where it is not too hard to hear, or too loud to be a distraction. During a drive listen to an audio book or podcast so you can relax your mind, and learn something new in the process. This is helpful when your schedule is too busy to allow you to read. Inspiration or an important conversation can take place at any given moment. The majority of us have smartphones, so you can use an app like Evernote to jot down notes at any given moment. Setting goals and communicating them to other people holds you accountable for what you have set for yourself. This forces you to get done what you have said by putting the pressure of having people watch your actions on you. If your city has public transportation then you need to use it for your benefit. This will free up your hands to get work done as you travel to your destination. Do not go to Facebook or another website just to get “updated” on what is going on. This is just a distraction you are using to get away from doing your work. You must break the habit of information addiction. Multitasking does not allow you to get more done. It actually does the opposite. Focus on one task and move on to the next once it is completed. Small tasks that have been adding up over time because you have been skipping over then can be done within 20-30 minutes. These can be things such as responding to an email, calling someone back, or updating your social media profiles. It may be in your benefit to work from home. You can wake up and immediately start on your work, instead of sitting in morning traffic. You also do not have to deal with common office distractions, although the distractions at home can be just as bad, if not worst. If the arrangement does not work out, you can just start back working in your office. As an entrepreneur, we always want to be perfect but that cannot always be the case. You will need to eliminate the need to be perfect because it can lead to stagnation, which is lost productive time that you cannot afford to lose. Automation should be used when it helps you better utilize your time. Automation can be used for your social media posts, scheduling of your marketing emails, and the update of your calendar. Basically, if it takes two minutes or less to complete the task, just do it. It would take more time to write the task down and to remember to get it done. You will need to break your bad habits in order to get more work done over time. You can replace your bad habits with good ones so that it is not too hard to eliminate them. This is an old form of productivity that is hardly used anymore. But writing with paper and pen improves your memory and eliminates distractions that come with working on your computer. Big task become easier to complete when you break them down into smaller tasks. This helps you get through each tasks quickly, which allows you to complete the overall task faster than you first expected. 24. Give yourself more time than you need. Giving yourself more time than you need allows for you to stay ahead of yourself. If you think your task will take 30 min, give yourself an hour instead to complete it. Coffee can be a great way to give yourself a boost when the day begins to feel like it is dragging on. This helps you regain focus and be alert, so that your work does not become sloppy. You will need to make intelligent decisions but that does not mean you need to procrastinate. When you are able to make decisions faster, you allow yourself the time to get to work on the decision made. A cluttered desktop can make it hard for you to focus. Clean up your desktop so that you can immediately know where your information is located on your computer screen. You do not want to waste time trying to locate where your files are stored. Arrange your files in a way that makes it easier for you to keep track of them and get to them when needed. If you do not have enough self-discipline on your own, there is software available that will allow you block websites that tend to steal your attention away from your work. While you are making your bed you can think about the day that is ahead of you, and mentally prepare yourself for what is to come. A vacation allows you to get away from the hustle and bustle of your work for a few days. It is better to take a break for few days, than burn out and be unable to work for a few weeks or longer. Although entrepreneurs love to boast that we can operate with limited sleep, getting enough sleep every night is very important. It is recommended that you get 7-8 hours of sleep every night. Meditation will help to reduce your stress, which improves your mood. This is very important because being an entrepreneur can be extremely stressful when you have so many things on your plate that need to get done. Water is something that we need for our bodies to function properly. Water will help you both think better and perform better because your body s running on its natural fuel. Junk food is a poison that not only deteriorates your body but also destroys your mind. You need to eat healthier foods like fruits and vegetables so that both your mind and body are functioning at a high level. Keep healthy snacks at your desk, instead of running to the vending machine or getting fast food. You want to discipline yourself to remain focused on doing what is best for you. A blog or journal can be used to get your thoughts out of your head so that you can think more clearly. This allows you to alleviate your stress by organizing your thoughts in a more collective manner. Working long hours behind your computer screen can cause you to get a headache or become unable to think clearly. Step outside to get some fresh air and reorganize your mind. If the day becomes too heavy, you need a reminder in place to help you remember what you are working towards. This will help you remain working hard because you have a personal goal to achieve. Looking for some Free Business Tool? We have created many free tools that can help you easily navigate Singapore’s business landscape. When you have finished something that was very difficult to complete, reward yourself for your hard work. This will help motivate you as you face more difficult tasks in the future. Declutter your workspace so that it is easier for you to work. You do not want to be constantly distracted by things being out of place. It is tempting to work through your weekends to get ahead, but sometimes you will need to just relax. Your mind cannot stay operating at 100 miles per hour every single day of the week. Sunday should be used as a day to start working towards Monday. You will give yourself a head start that carries you over into the week. Negative thinking will distract you from seeing the bigger picture.Think more positive so that you can become optimistic and look for ways to turn a setback into an opportunity. An environment with no color can be uninspiring to operate within.You need color around you so that you can come alive and do your best work. Unusual art will help you distress your mind and think more creatively. Use your breaks as time to flex your creative muscles. You can draw, write, or do some type of game that gets your creative juices flowing. You will need inspiration close by as your day goes on and begins to get harder. This can be a picture of a loved one, a quote, a book, or anything else that will help you work harder. Short meetings are much better than longer meetings. You can cover the important information that needs to be communicated so that everyone can get back to their work. Related Article: 9 tips to turn your entrepreneur dreams into a reality. Schedule meetings ahead of time and communicate the date to all participants. Give everyone homework that needs to be done so that everyone is participating in the meeting. Everyone is not needed to have a productive meeting. Only include the most important people who can go back and communicate the information that was shared with others in their respective departments. Do not allow your meeting to go off course, Stick to the planned agenda so that your meeting can move forward quickly instead of dragging on. Texting can help in some instances and emails in other instances. Know which works best for a particular so that you can communicate in the most effective manner. Email chains can become productive very quickly. If it begins to head that way with no progress being made, stop the email and opt for a meeting instead. Subject lines were made so people can know the information that is within the email, and its level of importance. Move specific emails that are related to each other to specific folders. This allows your email to be freed of space so you do not miss important information that may be sent to you. You have probably signed up to multiple email list that you never read. Unsubscribe from these lists so that you can clear your email box of stuff you do not read. If you need to do a conference call, set the tone immediately. You do not want people talking over each over trying to get their opinion heard. This will make your conference call go downhill very quickly. Keeping all the record of what has been said by people holds them accountable for their words. This allows you to point back to past conversations so people cannot deny what they have previously said. Bullet points help you state the most important part of your message clearly. This makes it hard for people to say they did not understand what you were saying. Let it be known why the communication is occurring.Let it be known what needs to be done so that people know exactly what needs to be produced from the meeting. When you interrupt people, they lose their train of thought. Allow people to say what they need to say and you can rebuttal once you have heard their entire thought. Keep your notes organized so that you can immediately get to important information that was recorded previously. When you read faster, you get through content more quickly and it improves your level of comprehension. When you receive alerts, your attention is diverted away from your task. Turn off your alerts so that your focus is not broken. Feedback helps you improve your performance. Seek constant feedback so that you can know both your strengths and weaknesses. You will want to give feedback to your team so that your team is performing at a high level. Never allow someone to continue operating at a low level because you are afraid to give them real feedback. Although you will want to, you cannot do everything yourself. Ask for help so that you actually get your work done as best as possible. Say exactly what needs to be said, so that it is clearly known. Do not add fluff into the conversation that distracts from the main point. Actually, listening helps you understand what people are saying to you, This helps you improve your communication skills, which helps you become a better leader. Hiring on potential provides you with an individual who will work hard to prove themselves. They know that they will have to overachieve in order to validate that you made the right choice of hiring them. Delegation is needed so that you can focus on the bigger goals that need to be accomplished. Know which people will be able to handle certain task so that things are moving forward properly. Sometimes your team will not be equipped with the skillsets that are needed to complete your initiatives. When this occurs, outsource this portion of your initiative to the professionals who can get it done. A mentor helps you avoid common mistakes that tend to happen to all entrepreneurs. A mentor can also align you with the right people who can help you reach your goals. Let your team know about time-saving plan that will help them get their work done more quickly.This allows your entire team to work in a more efficient manner. The best teams are the ones who can be honest with one another. You need for your team to be comfortable with calling out one another’s downfalls so that each member can work on improving themselves. Open communication builds trust with each member on your team. You do not want your team to be so afraid of talking that it affects the workplace. AsiaBiz Services is one of the top providers of accounting and taxation services in Singapore.